When I was a junior in high school — around the time that “important” conversations about music began to develop — I remember a particularly opinionated classmate of mine declaring that he simply couldn’t bear The Doors, mostly because of all the “dorky-sounding” keyboard parts. Fast forward about six months, during another one of those important conversations, and his mind had been completely changed. Or, to put it more bluntly, his doors of perception had opened. “Dude, I take it back. They’re unbelievable,” he said. Given his earlier comment, it’s safe to say he didn’t really come around on The Doors so much as he came around on keyboardist Ray Manzarek, who died Monday after a lengthy battle with bile duct cancer. The musical soul of the band, Manzarek defined The Doors’ sound perhaps as much as any non-vocalist has ever defined a rock band’s sound. A musical savant steeped in classical and jazz, Manzarek’s talents allowed the band to eschew a bass player, thinking that the addition of one made them sound too much like other bands. Rather, he held down the bass with his left hand on a keyboard bass, while defining the melody to many of the Doors’ iconic songs — “L.A. Woman,” “People Are Strange” and certainly “Light My Fire” — with his right. Where keyboards in most 60s bands (The Animals come to mind) functioned more or less as a stand-in for a horn section, providing long chord tones to fill out the sound, Manzarek took the instrument center stage. In so doing, he paved the way (for better or worse) for legions of keyboard-heavy bands in the 70s like Yes, ELP and Genesis. 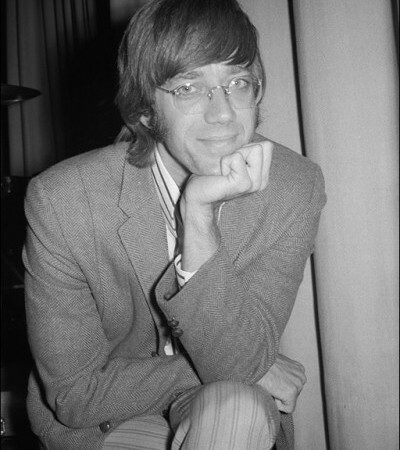 Manzarek was something of a caricature of the 60s counterculture. He met drummer John Densmore at a transcendental meditation class, and met Jim Morrison while the two were studying avant-garde filmmaking. He referred to LSD as being responsible for creating the band’s “communal mind.” But more than a decade after Jim Morrison’s death, Manzarek linked up with a decidedly un-60s group in Los Angeles punk legends X, producing their first four albums. In recent years, Manzarek teamed up with Doors’ guitarist Robbie Krieger and a rotating cast of drummers and vocalists, such as The Police‘s Stewart Copeland, Pearl Jam‘s Eddie Vedder and The Cult‘s Ian Astbury, to play sets of Doors music on tour. But drummer John Densmore would have none of it, eventually suing his old mates for using the band’s name without his blessing. « Video of the Day | Sasquatch Edition: Holy Ghost!